The Huffington Post describes Eugene as "the city where everyone runs." Track is such a cultural phenomena here that former University of Oregon distance runner Alexi Pappas decided to encapsulate Eugene&apos;s spirit in an indie film titled "Tracktown." As the "Running Capital of the World," Eugene is a hub for runners, hikers and general outdoor enthusiasts. In Eugene, a lot of things are combined with "running." Want to meet for a craft beer? Join a weekly running group that finishes at a local brew pub. Or ends at a winery. Seeking a University of Oregon campus tour? Better lace up your shoes for a fast pace overview and some interesting academic insights on the monthly "run with a researcher." Community events tend to kick off with a 5K, from community health fairs to fundraisers. Ring in the New Year with a run, "Run to Stay Warm" in the winter and don&apos;t miss the "5K on the Runway" at the Eugene Airport. Yes, Eugene&apos;s got its share of color runs, mud runs, stroller runs, kids&apos; fun runs and obstacle courses. Whether turning out for the Eugene Marathon, the Butte to Butte, triathlons or attending prestigious meets like the NCAA Track & Field, U.S. Olympic Trials - Track & Field or the World Championships, you can be sure of one thing - this town is on its feet! 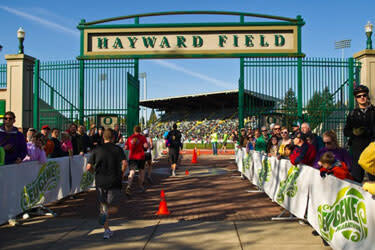 Pay homage to Eugene&apos;s track legends and hallowed places on an informal tour of TrackTown USA. 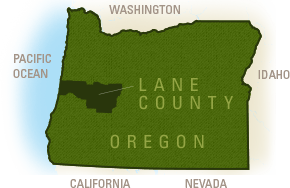 Explore South Willamette Valley Wine Country, discover the local wineries and win prizes. 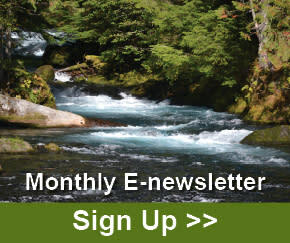 Multiple outfitters offer guided trips down the magnificent McKenzie River. From Asian antiquities to military monuments, delve deep into culture, history, art and science.